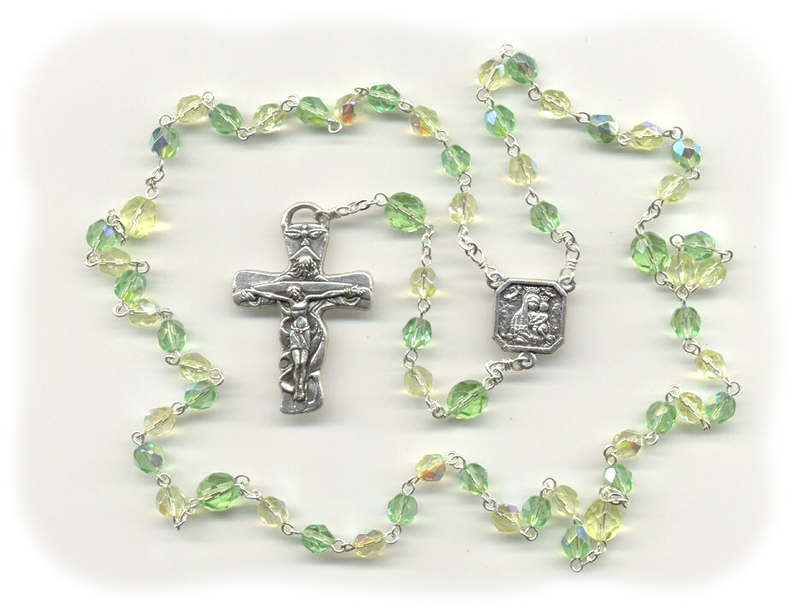 This rosary was inspired by one of the Pope's visits. While watching TV a few years back I saw a huge crowd of people all waving either a bright yellow, or bright green little flag as the Pope drove by in the Popemobile. I fell in LOVE with those colors together and felt it appropriate to commemorate the occasion with a rosary. I also chose to use my new favorite crucifix as well. LOVE IT! !